This is another beautiful Die-Cut flower. 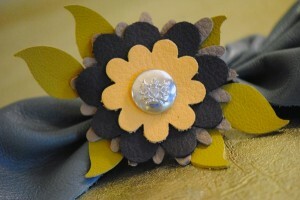 The (real) leather for this flower also came from FabMo. Can you tell I love that place? 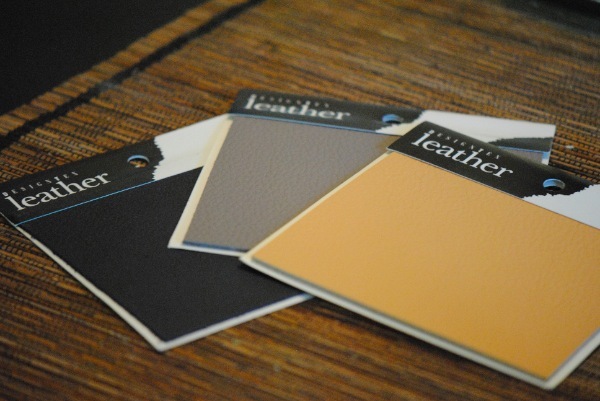 The leather pieces were small samples that I ran through my wonderful Sizzix Big Kick (which is also known as the Big Shot–same machine, different color). 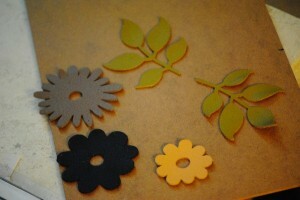 The flower was cut using Sizzix die “Flower Layers #3” and the leaves were cut using Sizzix die “Leaves”. This flower took literally less than 5 minutes to make. 3) Glue it together and you’re done!